Spain is a rich and varied country; in fact, you can find many differences within the country concerning climate, food and even local idioms. You will hear Castilian, Catalan, Basque and Galician languages after moving to Spain. Moving companies can put you in touch with language courses in addition to shipping your belongings, so inquire early about your options. Reino De Espana, the Kingdom of Spain’s official name, is the 2nd largest country in Europe and the 2nd most visited country in the world. 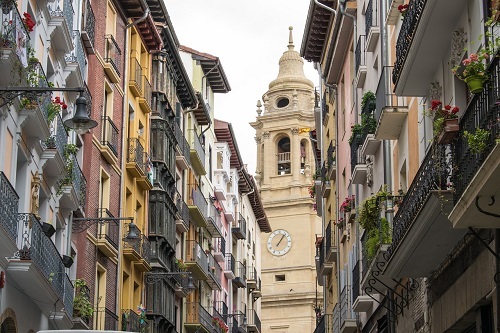 Its vast array of architectural buildings, from Gothic cathedrals to Islamic palaces and medieval castles in practically every other village, is just part of Spain's appeal to expats. Museums and galleries that showcase the arts of Spanish-born world renowned artists like El-Greco, Dali, Goya, Picasso and Velasquez, an array of piquant dishes, blue-ribbon awarded pristine beaches and a family-oriented environment, are enough reasons to be drawn to this country for a fresh start. Spain‘s landscape varies from arid mountain pastures to lush orchards and meadows, from magnificent coasts to rural areas and sophisticated towns. If you decide to settle here, it would be wise to explore before you ultimately settle in one place, as there is so much to discover in Spain. Not all is ideal in Spain; petty crime like purse-snatching is standard so carry only enough cash for the day's needs and be alert. Keep valuables away from prying eyes. Learn every important thing you need to know before moving to Spain below. Spain is not just popular among vacationers but also for expats who are searching for a better future abroad. It is the largest country in Southern Europe with a total land area of 192,485 square metres and houses over 46 million inhabitants making it the sixth most populous member of the European Union. Expatriates who are looking for a laid-back environment without missing out on the best possibilities in life should relocate to Spain. This multi-cultural country possesses the 14th largest economy in the world by Gross Domestic Product, ensuring fruitful career opportunities for all aspiring foreign workers. Spain is also famous for its undisputable natural beauty where miles of pristine Costas (coastlines), majestic mountain ranges and vast landscape of olive groves are waiting to be marvelled at after a day’s work. A visa should be one of the first documents to prepare when deciding on relocating to Spain. However, not all expats are required to secure one such as citizens of the European Union (EU), European Economic Area (EEA) and countries under the Schengen Agreement. Those who need to secure a visado (visa) should go to the Spanish Embajada (embassy)/Consulado (consulate) in their home country to apply. It is also best to visit the website of the Ministry of Foreign Affairs and Cooperation to get an up to date info on the procedures and various documentación (documents) that are required for visa application. It is also the best time to ask the doctor for medicines and prescriptions which can be used during the first few days in Spain in the case of immediate need. An insect repellent should also be part of the packing list since the country is known for having cases of diseases caused by insect bites. Also, don’t forget to bring sunblock to protect the skin from Spain’s high temperature and extended hours of sunshine. Overseas shipping to Spain requires a few documents and observance of some guidelines. Non-Spanish nationals need to prove they are no longer residents of their country of origin and are relocating to Spain. This can be done by presenting a consular or residence resign. A customs application for duty-free items is also required along with a list, in Spanish, of all items in the shipment as approved by the Spanish Consulate in the importer's home country. For appliances, it is necessary to include all serial numbers, makers and models in the declaration and a hand-carried purchase invoice. Transporting goods is impossible unless the owner is already in Spain and able to provide all necessary documents. Removals to Spain also requires duties and taxes depend on the duration of possession of the items and amount. EU citizens have to own the items for at least three months, six months for non-EU citizens, before arrival in Spain. Used household goods should be in the shipper's possession within a year from the acquisition of a residence or work permit and must be in Spain no later than three months after the customer's arrival. Otherwise, a fee is charged. Importing vehicles can require a bit too many details and documents, something that is best handled by any of removal companies in Spain. In a capsule, vehicles must be in the owner's possession for at least six months and may be tentatively duty-free but could require modifications. An invoice, title and vehicle registration are also required. Customs imposes a 16% tax on the total value of items imported, but this will be waived when the owner travels with a Spanish citizen. To ensure a smooth import of one's possessions as well as obtain information on things to pack and leave behind, movers in Spain can offer indispensable help. Expatriates who are searching for decent healthcare, high standard of education, thriving jobs and a chance to experience one of the most ancient cultures on Earth should book their flights to Spain. This second largest country in the European Union is undoubtedly one of the top choices of foreign nationals who are aiming for career growth while enjoying a laid back kind of life. Spain has a total inhabitant of a little over 46 million people making it the 30th most populous country in the world. 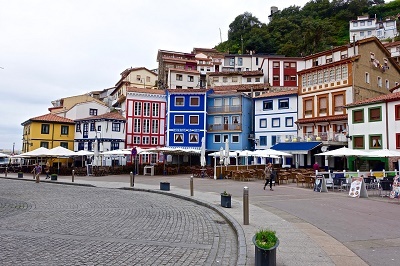 It has a reputation for being a multi-cultural nation where most of its residents are from Latin America or European descent who relocated because of its robust economy. Spain serves as the home of thousands of people from all parts of the globe that are now benefiting from an affordable cost of living while enjoying the time of their lives in one of the best places in Europe when it comes to leisure activities. Castellano or most commonly known as Spanish is the official language in Spain. However, the country also uses four other languages where each is pre-dominant in particular regions: Euskara in Basque, Galego in Galicia and Catalan and Valencia in Catalonia. Expats will find many English speaking locals especially in the major cities such as Barcelona, Madrid and Costa Del Sol. Most of the people who are fluent in the universal language are students and young professionals while those living in the rural areas still prefer to use their mother tongue. What’s your name? - Cómo se llama Usted? Free trial Spanish classes can be found here. Because of its massive geographical size, each 17 regions of Spain experiences different types of weather. The country, in general, has a sub-tropical climate but those who will live in the areas of Galicias, Basque and Cantabria will experience a lot of rainfall while expats who are going stay in Barcelona are up to a warmer temperature. Madrid, on the other hand, has a more unpredictable weather where the average temperature during summer can reach 24⁰C and goes down to 9⁰C on winters. Spain has four seasons in a year: summer (June to August), autumn (September to November), winter (December to February) and Spring (March to May). Though there is a significant weather variation in every region, expats in Spain can still enjoy lots of sunny days since the country experiences 1700 to 3000 hours of sunshine each year. Spain is a relatively safe country, but it doesn’t mean that expats should not be cautious since there are still some cases of reported crimes. 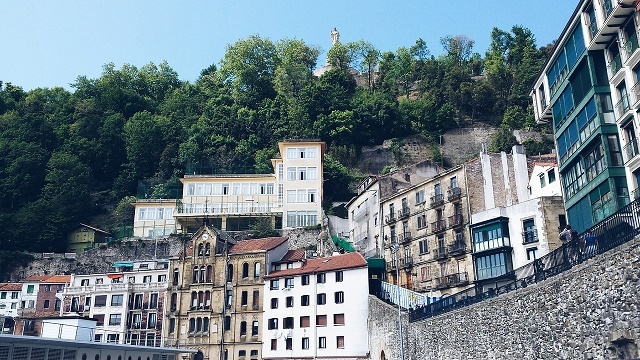 The Basque region in the north has a reputation of potential terrorism threat since it where the armed separatist group Euskadi Ta Askatasuna (ETA) is headquartered. ETA has not been active recently, and after the 2004 terrorist attack that shook Madrid, the local authorities has become more vigilant and remained on high alert. First-time expats abroad have always been a magnet to petty crimes. In Spain, newcomers should be aware of pick-pocketing and theft which are prevalent in crowded streets, hotel lobbies, restaurants and public transportation. It is best to avoid wearing any flashy jewellery or acting like a tourist and carrying too much cash when going out particularly at night. Police officers are scattered in every part of the country so always keep an eye to where they are stationed in case of any safety issues. They wear IDs, armed and more than ready to help.